To think of Cannes is to think of glamour. The Cannes Film Festival says it all: the red carpet, the movie stars, the gowns, the tuxedos. Glamour upon glamour. Then there is the obscene wealth. Mega yachts the size of small ocean liners pack the harbour and look over to Belle Epoque hotels and luxury apartments lining the Promenade de la Croisette. We are in Cannes right now. So is Elton John with David and Victoria Beckham. While they were on Elton's yacht anchored outside the harbour, we were on the little tourist train with a bunch of other scruffy tourists chuffing through the town. Our paths were not going to cross. None of us hoi polloi on the little train or strolling the streets of Cannes this day would ever know numbers or names of celebrities and wealthy A-listers in town. Unless it is during the film festival, celebrities keep a low profile, although it is entertaining to speculate on who might be who by the number of Lamborghinis, Ferraris and Porsches pulling into the palatial hotels. Cannes screams wealth and excess. The yachts lining the harbour compete in size and style. Sometimes the owners fly in and live on board for a few days, visit the expensive restaurants, shop, and then fly off to do whatever wealthy people do. While they are not there they rent out their yachts to other wealthy people who don't have quite as much cash to own their own yacht, poor things. The sea sparkles all day under the constant sunshine, as though God is up there throwing bags of diamonds down on it all day. The beaches, only a few of them public and free, are crowded with bronzed bodies lazing on striped sun lounges. Although it is beach-to-hotel glamour, Cannes is surprisingly small and easy to get around. Small doesn't mean it is not big on luxury. Shopping along the Rue d'Antibes reveals every big brand name in the world. When you tire of promenading and gawking at the yachts and the beautiful people and the opulent shops and probably have not spotted a celebrity, it's a good idea to head away from the harbour to the old town, Le Suquet. Here the narrow streets are crammed with bistros and bars with prices more suited to the wallets of most of us. And the atmosphere is lively, especially at night. It's an energetic and lovely alternative to the beachfront luxe. Go a little further up to the charming village of Mougins, a hilltop town with Roman origins. It is about a 15-minute drive from the town centre and has views over verdant forests to Grasse. 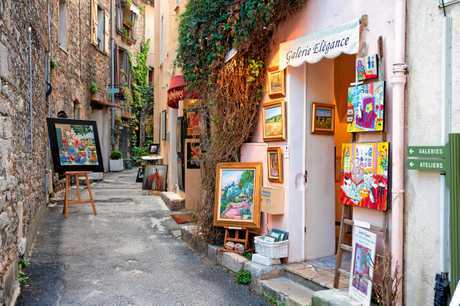 Mougins is most known for attracting artists. 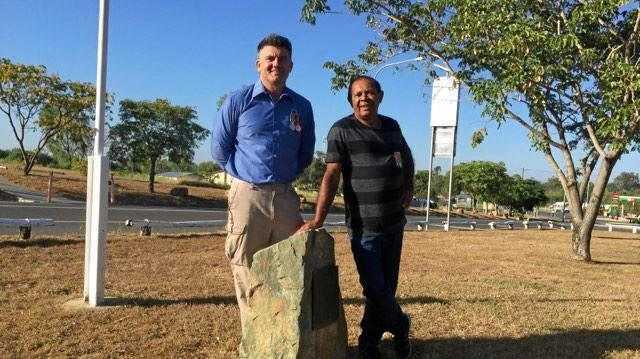 The place is awash with high-end galleries with formidable staff who will happily relieve you of $50,000 for a quirky sculpture or contemporary painting. Most famous of all artists who have stayed in this picturesque village is Picasso. He lived here for his last 12 years and today the small village milks his sojourn for all it's worth. Photos - most showing him bare-chested with a cigarette dangling from his mouth in a cluttered studio - are at every corner. Mougins has a strong culinary history and reputation, Alain Ducasse had a restaurant there. We counted as many restaurants and bistros as galleries. We sat on the terrace at L'Amandier, where a set menu of generous three courses cost 33 euros (about $45). Many of the bistros and galleries are hidden in the narrow lanes away from the square (where the old blokes play petanque) and it is a journey of discovery to wander and find one that appeals most. 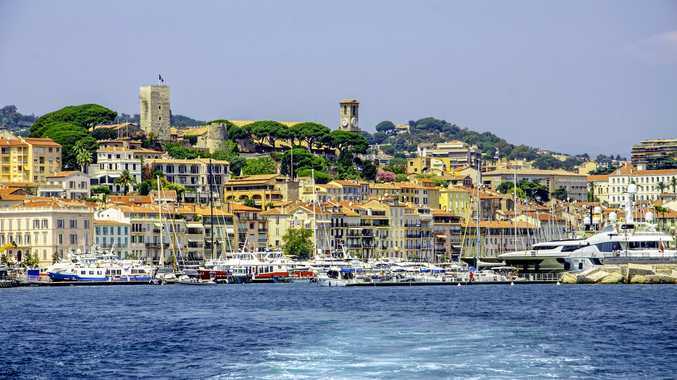 Cannes is an eye-opener on the French Riviera, a hedonistic town where the likes of us can visit, enjoy, wonder what it would be like to have it all, then go home to our ordinary but pleasant lives.